Garner lay motionless, handcuffed, and unresponsive for several minutes before an ambulance arrived, as shown in a second video. After Garner, lost consciousness, officers turned him over onto his side to ease his breathing. Other than one officer who told the then-unconscious Garner to “breathe in, breathe out,” the police made no attempt to resuscitate Garner. The police defended their decision not to perform CPR on Garner because they stated that he was still breathing and that it would have been improper to do CPR on someone who was breathing on his own. When an ambulance arrived on scene, two medics and two EMTs inside the ambulance did not administer any emergency medical aid or promptly place Garner on a stretcher. According to police, Garner had a heart attack while being transported to Richmond University Medical Center. He was pronounced dead at the hospital one hour later. On August 19, 2014, Richmond County District Attorney Daniel M. Donovan, Jr., announced that the case against Pantaleo would go to a grand jury, saying that after considering the medical examiner’s findings that Garner’s death was a homicide, his office decided it was appropriate to present evidence regarding circumstances of his death to a Richmond County Grand Jury. On September 29, the grand jury began hearing evidence in the Garner case. On November 21, Pantaleo testified before the grand jury for about two hours. After having the case for two months, the grand jury decided on December 3 not to indict Pantaleo. The grand jury proceedings were kept secret, including the exact charges sought by the prosecutor, the autopsy report, and transcripts of testimony. Attempts by the New York Civil Liberties Union and others to gain release of that information have been unsuccessful. In October 2014, Garner’s family announced the filing of a wrongful death lawsuit against the City of New York, the police department, and several police officers, seeking $75 million in damages. The parties announced a $5.9 million out-of-court settlement on July 13, 2015. Garner’s widow earlier rejected a $5 million settlement order. In December of 2014, Pantaleo appeared before the NYPD Internal Affairs Bureau. He was transferred to a desk job and, in 2016, the New York Daily News reported that Pantaleo actually received a pay raise since his transfer. Al Baker, J. David Goodman & Benjamin Mueller, Beyond the Chokehold: The Path to Eric Garner’s Death, The New York Times (June 13, 2015), https://www.nytimes.com/2015/06/14/nyregion/eric-garner-police-chokehold-staten-island.html. Deborah E. Bloom & Jareen Imam, New York Man Dies After Chokehold by Police, CNN (Dec. 8, 2014), http://www.cnn.com/2014/07/20/justice/ny-chokehold-death/. 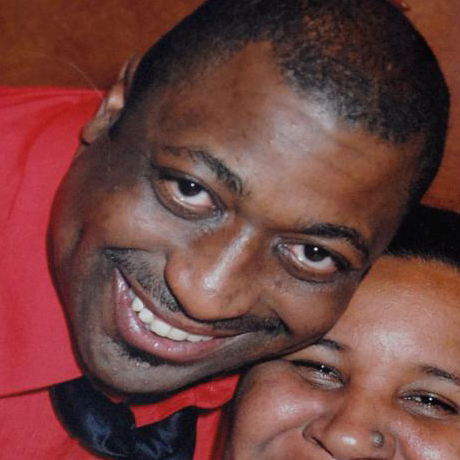 Susanna Capelouto, Eric Garner: The Haunting Last Words of a Dying Man, CNN (Dec. 8, 2014), http://www.cnn.com/2014/12/04/us/garner-last-words/. Melanie Eversley, NYPD Sergeant Charged in Eric Garner Case, USA Today (Jan. 8, 2016), http://www.usatoday.com/story/news/2016/01/08/nypd-sergeant-charged-eric-garner-case/78532476/. Jennifer Fermino & John Marzulli, Family of Eric Garner Agrees to Accept Record $5.9M Settlement for Wrongful Choking Death at Hands of NYPD Officers, New York Daily News (July 14, 2015), http://www.nydailynews.com/new-york/family-eric-garner-accept-5-9m-settlement-source-article-1.2291065. Corinne Lestch, Rocco Parascandola, & Larry McShane, Police Offered No Help to Staten Island Dad Eric Garner After Chokehold, New Video Shows, New York Daily News (July 20, 2014), http://www.nydailynews.com/new-york/nyc-crime/nypd-chokehold-staten-island-man-eric-garner-stripped-shield-gun-article-1.1873033. John Marzulli, Eric Garner Case Now in Hands of New DOJ Investigative Team, New York Daily News (Oct, 25, 2016), http://www.nydailynews.com/new-york/eric-garner-case-hands-new-doj-investigative-team-article-1.2843709. John Marzulli, Ginger Adams Otis & Stephen Rex Brown, Eric Garner’s Widow Rejects NYC’s $5M Offer to Settle Wrongful Death Suit, New York Daily News (July 13, 2015), http://www.nydailynews.com/new-york/eric-garner-widow-rejects-city-5m-settlement-source-article-1.2290081. Ken Murray, Kerry Burke, Chelsia Rose Marcus, & Rocco Parascandola, Video: Man Dies After NYPD Cop Puts Him in Chokehold, New York Daily News (Dec. 3, 2014), http://www.nydailynews.com/new-york/staten-island-man-dies-puts-choke-hold-article-1.1871486/. The New York Daily News, Eric Garner Video, YouTube (July 12, 2015), https://www.youtube.com/watch?v=JpGxagKOkv8. Graham Rayman, Chokehold Cop’s Pay Rises After Killing Eric Garner, NY Daily News (Sept. 12, 2016), http://www.nydailynews.com/new-york/chokehold-salary-rises-killing-eric-garner-article-1.2789313. Andrew Siff, Jonathan Dienst & Jennifer Millman, Grand Jury Declines to Indict NYPD Officer in Eric Garner Chokehold Death, NBC (Dec. 3, 2014), http://www.nbcnewyork.com/news/local/Grand-Jury-Decision-Eric-Garner-Staten-Island-Chokehold-Death-NYPD-284595921.html.